Most of us have nodded off while driving at some point. 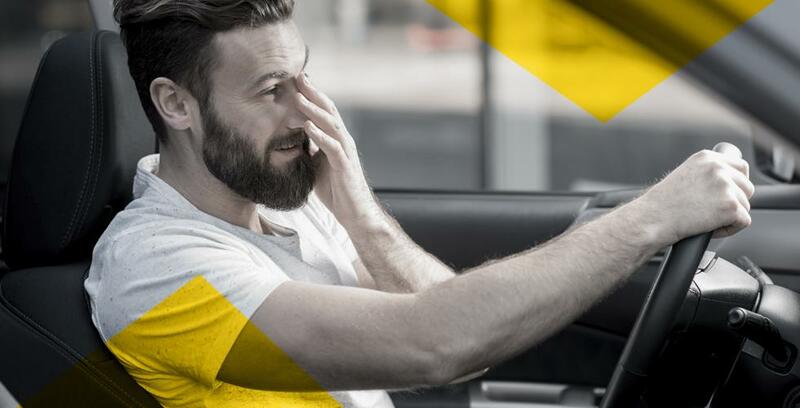 We all have our tricks for keeping the Sandman at bay, but sleepiness behind the wheel causes an average of 82 deaths and 8,574 injuries every year in Quebec. Do you know if your go-to methods even work? Let’s take a look at the myths and realities surrounding this common problem. The dangers of drowsy driving are grossly underestimated. Fatigue makes it difficult for drivers to concentrate and significantly increases the risk of an accident. Drivers often aren’t even aware of the danger because they’re under the illusion they have complete control over their fatigue or exhaustion. That makes fatigue an “invisible” danger that, like alcohol, impairs our driving abilities. Do the tricks people use really work or just give us false confidence? There are a number of schools of thought when it comes to fighting sleep behind the wheel. Let’s start with coffee and keeping the window down. These solutions may help in the short term, but the effects are temporary. And if you think coffee is a sure-fire method, remember that caffeine only kicks in 10 to 15 minutes after you’ve downed a cup. Swear by driving barefoot or making a one-minute pit stop? Pointless! And you can skip turning the inside of your car into a dance party... It’s true that sound and light can wake you up, but again, the effect doesn’t last. Chewing gum falls into the same category and is just as ineffective. There are a lot of myths out there that are hard to dispel. On the surface, driving faster to stay more alert seems like a good idea, but in reality, you become less alert when you’re tired. Your brain takes longer to process information coming at you faster, so driving faster to stay awake just doesn’t add up. People are more likely to fall asleep while driving at night. Between midnight and 6 a.m., our bodies are programmed to sleep, so we have to struggle that much harder to stay awake. The risk of falling asleep is also higher between 1 p.m. and 3 p.m.
To sum up, fighting drowsy driving is pretty much a losing battle from the outset. The only real solution is to recognize the signs of sleepiness and pull over as soon as possible. It’s well worth adding 15 minutes to your trip to avoid an accident or extend your life expectancy!